Have you ever wondered what you are supposed to be learning in this lifetime on earth? 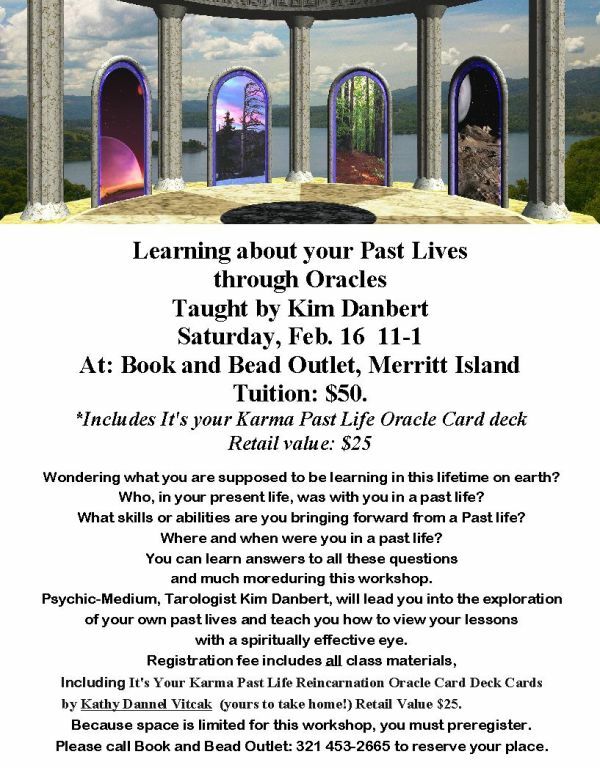 You can learn answers to many questions and much more during this workshop taught by Kim Danbert. Class is Limited to Six (6) people.